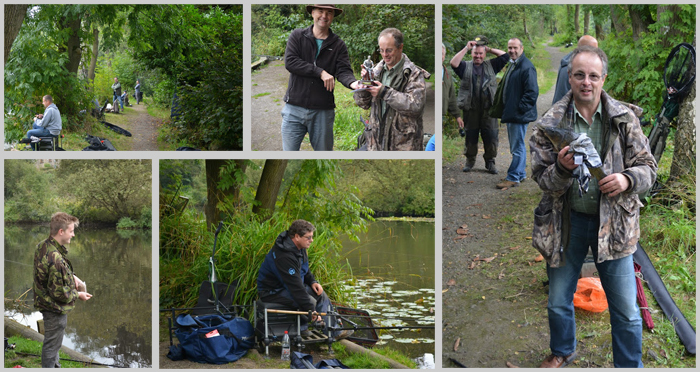 Employees from Reliance Precision recently enjoyed a great day’s fishing in the beautiful surroundings of Magdale Pond in Honley, Holmfirth. After welcome rounds of bacon and sausage sandwiches, courtesy of MD Andrew Wright and family, the first Reliance Fishing Trophy got swiftly underway with Sales Manager Philip Wilson landing a sizeable carp; the catch that would become the eventual winner. Although the fishing itself was slow, the Reliance spirit was not dampened and a pleasant late summer’s day out, with lively competition and friendly banter, was had by all. Trophy organiser Michael Troop also enjoyed the day and expressed his thanks to everyone who took part; suggesting the competition could become an annual event. Congratulations to Philip Wilson on becoming the first Reliance Precision fishing champion. Runners up were Ken Jolley and Jay Mawdsley, taking second and third places respectively. The team prize went to Philip Wilson and Andy Kendall.